Trollhunters – Season 1 (2016) – What's New on Netflix Canada Today! 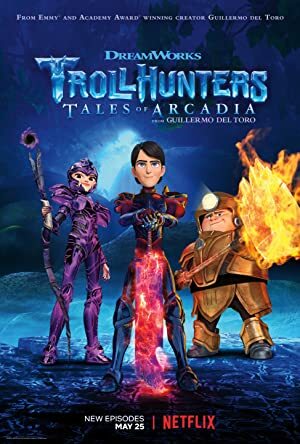 Based on a book by del Toro, Trollhunters tells the story of friends who unearth a mystery underneath their hometown. From master storyteller Guillermo del Toro, a fantastical new world wrapped around two best friends who make a startling discovery beneath their town. After uncovering a mysterious amulet, an average teen assumes an unlikely destiny and sets out to save two worlds. Created by Guillermo del Toro. An ordinary teen. An ancient relic pulled from the rubble. And an underground civilization that needs a hero.